Bringing heat to the dance floors with fat groovy baselines, vibey energy and a passion for techno, SUSIO aka Chris Granillo is surely making moves in the scene. A native of San Diego, CA., this rising techno talent began his journey in high school when he was introduced to his first Digital Audio Workstation. Sparking Chris’ interest, this was merely just touching the surface for the passion that was about to ignite. Attending EDC in 2010 was a mind opening experience, which allowed him to really feel power and ability within himself that ultimately curated his incredibly distinct sound. With the fire lit, the search for gigs and networking began, eventually linking with Eventvibe and Amplified. 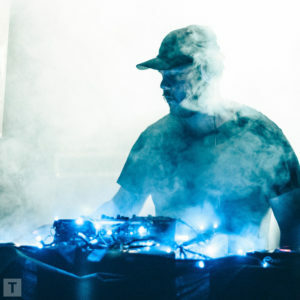 This opened the door SUSIO to strongly make his name in the underground industry and led him to the founder of OMNIFIK, which pumped out the powerful duo Dirty Prado. Now possessing tons of musical ammo, the determined DJ/producer crossed paths with Tribe Out West Records where hours of collaboration in the studio opened up his seat on the team. Right now this artist is on fire with his latest EP containing bomb tracks with the distinct dirty sound we all know and love from SUSIO. Anticipate the flame to rise even higher with tons of new material in the works.